And Saxon Cain, my loyal 2nd character (a warrior) is now a woman, all power to her. 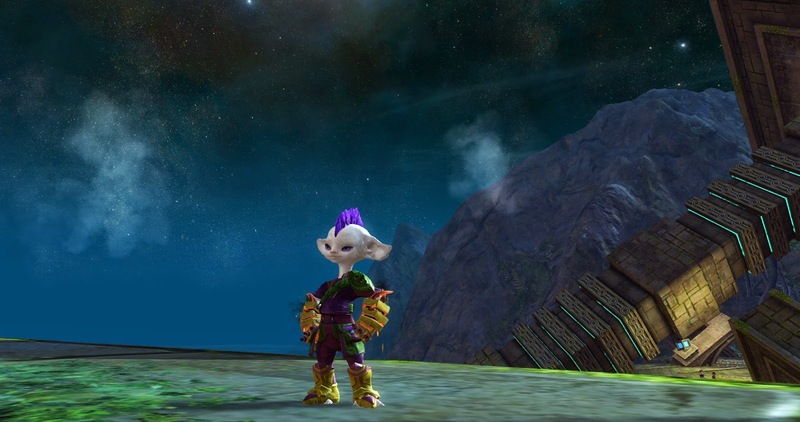 Anyway, I've begun playing Guild Wars 2 again these past few months. I've been doing other things and not had time to write here either. You know when you get a strange period in life? Well you don't want the long, boring version but let's just say I now speak Swedish ("hej!" och "hur mår ni" till alla som läser och förstår det här) and I will be going to the Shaolin temple to train Kung fu this summer. Sometimes things just go in interesting directions. Hi anyone that reads this. If you want a TIP, well I've been out of the loop a while but from what I can see there's still a possibility to attain many unidentified dyes (cheapish) when the new patch hits. The first factoid: Duplicate dyes on your characters will be refunded as unid'd dyes when account wide dyes in the wardrobe are unleashed. The first assumption: Many people are already buying and learning dyes across their characters (the price of dyes has increased substantially). This means a lot of people are buying the dyes that were previously worth COPPER. So when the patch hits, new unid'd dyes will flood the trading post. Investment 1: Buy the oversupplied dyes after patch. The second factoid: Unidentified dyes will no longer drop - they ain't on no loot tables any mo - post patch. Assumption the second: While people won't need as many unid'd dyes to fill their account wide dye collection, over time dye popularity will recover. They're a lottery ticket - you might get a valuable dye - and they're a recipe requirement in some legendary weapons, plus they're off loot tables. Supply is restricted to crafting and laurel vendors. If other investors think thusly, this they might hold onto dyes during the early predicted surplus period (in other words, there may not be much surplus). Investment 2: Create or use existing characters (as many character slots as you've unlocked) to learn the cheapest dyes on the trading post across all your characters. Personally I've tried a bit of option 2 already. I've been out and my gold reserves aren't as impressive in the evolving market, but I threw some funds into 13 - 14s dyes in the hope the unidentified dyes I get back will return to the 30s mark or more (doubling my investment). I also plan on monitoring the unidentified dye price on patch day. It might go down low enough that I feel like another investment in these dyes. Already down to 20 silver, crazy, how much lower do you see the price dropping? I really wanna stock up on it because eventually it'll bottom out and then go back up. I bought up a load with a 17s buy order and now it's holding around 20s+. To be sure it'll fluctuate more towards the weekend as casual players log in and get their duplicate dyes but I don't think it'll go that much lower.